DAVE FRULLA & ANNE HAWKINS: Whither the Lenfest report? ARLINGTON, Va. — The states of Rhode Island through Delaware have scheduled their hearings to gather public comment on Draft Addendum I to Amendment 2 the Interstate Fishery Management Plan (FMP) for Atlantic Menhaden. The details of those hearings follow. The Draft Addendum proposes modifying the FMP’s bycatch allowance provision. Specifically, it considers allowing two licensed individuals to harvest up to 12,000 pounds of menhaden bycatch when working from the same vessel fishing stationary, multi-species gear – limited to one vessel trip per day. Bycatch represents less than 2% of the total coastwide landings. The practice of two permitted fishermen working together from the same vessel to harvest Atlantic menhaden primarily occurs in the Chesapeake Bay pound net fishery. This practice enables the fishermen to pool resources for fuel and crew. However, the practice is currently constrained by the FMP’s bycatch allowance provision, which includes a 6,000 pound/vessel/day limit. 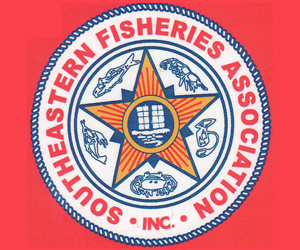 The Draft Addendum seeks comment on whether the provision should be revised to accommodate the interests of fixed-gear fishermen who work together, as authorized by the states and jurisdictions in which they fish. The intent of Draft Addendum I is to add flexibility to one element of the bycatch allowance provision while the Board prepares to address menhaden management more comprehensively through the development of Draft Amendment 3 to the FMP over the next two years. A subsequent press release on the public hearing schedule and Draft Addendum I availability will be distributed once state hearings have been scheduled. Fishermen and other interested groups are encouraged to provide input on the Draft Addendum either by attending state public hearings or providing written comment. The Draft Addendum can be obtained here or via the Commission’s website, www.asmfc.org, under Public Input. Public comment will be accepted until 5:00 PM (EST) on July 11, 2016and should be forwarded to Megan Ware, FMP Coordinator, 1050 N. Highland St, Suite A-N, Arlington, VA 22201; 703.842.0741 (FAX) or at mware@asmfc.org(Subject line: Draft Addendum I). He proceeded to tell me of the incredible amount of giant bluefish he and a group of locals had caught the previous night. Menhaden, the baitfish the blues were chasing, were beaching themselves to avoid their jaws, he said. He showed me metal wire leader that a chopper blue had bitten clear off someone’s line. Evidence of the sheer viciousness of these yellow-eyed choppers. Alexandria, VA – The Atlantic Menhaden Management Board approved Draft Addendum I to Amendment 2 to the Interstate Fishery Management Plan (FMP) for Atlantic Menhaden for public comment. 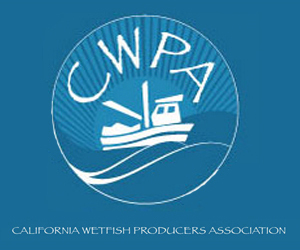 The Draft Addendum proposes modifying the FMP’s bycatch allowance provision. Specifically, it considers allowing two licensed individuals to harvest up to 12,000 pounds of menhaden bycatch when working from the same vessel fishing stationary, multi-species gear – limited to one vessel trip per day. Bycatch represents less than 2% of the total coastwide landings. In a separate action, the Board extended the episodic event set aside program until the finalization of Amendment 3. It also conditionally approved a request from New York to be added as an eligible state. The program reserves 1% of the coastwide total allowable catch to be used by New England states in areas and times when menhaden occur in higher abundance than normal. Rhode Island opted into the program in 2014 and 2015, and harvested a portion of the set aside each year. 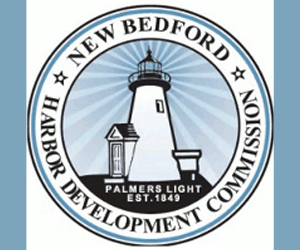 As a result of the Board’s decision to extend the program, the states of Maine, New Hampshire, Massachusetts, Rhode Island, and Connecticut remain eligible to participate in the program in 2016. New York is currently reporting unusually large amounts of menhaden in the Peconic Bay estuary, raising the potential for more large fish kills, similar to last year, as the waters warm. New York sought Board approval to participate in the episodic event set aside program so fishermen can harvest a portion of the large build-up of menhaden in the Peconic Bay estuary to mitigate the impacts of additional fish kills. The Board approved the request subject to a one million pound harvest cap under the episodic event set aside. WASHINGTON (Saving Seafood) – May 2, 2016 – Dr. Ray Hilborn, a marine biologist and fisheries scientist at the University of Washington, has launched a new initiative aimed at addressing key issues surrounding forage fish science and the impacts of forage fishing on predator species. Dr. Hilborn’s Forage Fish Project is one of several scientific efforts occurring in the next few months to expand the existing body of scientific research on forage fish. Comprised of 14 renowned fisheries scientists from around the globe, the Forage Fish Project held its inaugural conference last month in Hobart, Australia, where it identified shortcomings in the existing forage fish research. Specifically, it found several issues with work produced by the Lenfest Forage Fish Task Force, whose April 2012 report, “Little Fish, Big Impact,” concluded forage fish are vulnerable to overfishing, among other findings. The Forage Fish Project, which includes two members of the Lenfest Task Force, began work to address these flaws, with the goal of producing an accompanying study later this year. In Hobart, Project members found that most of the models used in previous forage fish studies, like the Lenfest Task Force report, left out factors such as the natural variability of forage fish stocks, and the extent of size overlap between fisheries and predators. The group also found multiple indications that the Lenfest study greatly overstated the negative impact of forage fishing on predator species. “Most [food web] models were not built with the explicit intention of evaluating forage fish fisheries, so unsurprisingly many models did not include features of forage fish population biology or food web structure that are relevant for evaluating all fishery impacts,” according to minutes from the Hobart meeting. Two upcoming fishery management workshops will also evaluate forage species on the East and West Coasts of the U.S., the first organized by the Southwest Fisheries Science Center and the Pacific Fishery Management Council. 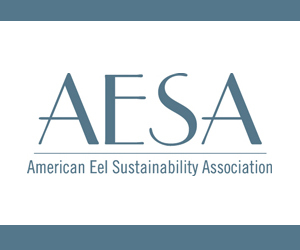 The workshop, which will be held in La Jolla, Calif., from May 2-5, will focus on how to improve stock assessment methods for northern anchovy and other coastal pelagic species. Attendees will evaluate model-based assessment approaches based on routinely assessed pelagic species from around the world, consider non-assessment approaches to estimate fish stocks, and develop recommendations for how the SWFSC should evaluate coastal pelagic fish stocks in the future. A similar forage fish workshop will be held May 16-17 in Portland, Maine. 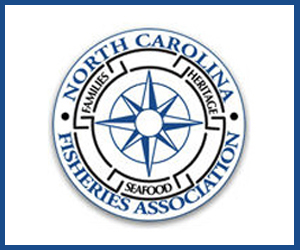 This workshop will focus on Atlantic herring, with the goal of establishing a rule to specify its acceptable biological catch (ABC), the recommended catch level for any given fish species. An effective ABC rule will consider the role of Atlantic herring in the ecosystem, stabilize the fishery at a level that will achieve optimum yield, and address localized depletion in inshore waters. Ultimately, these various forage fish workshops and projects are striving to use the best available science to update previous research and determine sound management practices for forage species. Learn more about the upcoming coastal pelagic species workshop in La Jolla, Calif.
April 20, 2016 — On April 2, the Sun Herald published an op-ed from the spokesman of the Coastal Conservation Association — Mississippi, F.J. Eicke (“A most important fish raises need for public scrutiny”), that was filled with more holes than a fisherman’s net. Sadly, time and time again, Mr. Eicke has demonstrated dismissiveness toward sustainable fisheries and the hardworking men and women of Mississippi’s commercial fishing industry. A major contention offered by Mr. Eicke is that Mississippi’s resident menhaden stock is troubled. This statement is 100 percent incorrect and is little more than a scare tactic. There is no such thing as “Mississippi menhaden.” Due to their very nature — their biology and habitat — menhaden are a Coastwide migratory species, which is why menhaden stock assessments are conducted on a Coastwide basis. As such, Mr. Eicke’s claim that the public “has no basis for assessing the catch in Mississippi waters” is nonsensical. Menhaden cross state borders routinely as they move around the Gulf. To assess the amount of menhaden in Mississippi waters at any given time is pointless, since, due to migratory patterns, the stock size would be completely different in subsequent days, weeks or months. 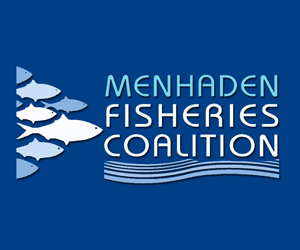 Contrary to Mr. Eicke’s claim that menhaden regulations are “minimal,” existing management has been successful in maintaining a sustainable fishery. According to the most recent, peer-reviewed Gulf States Marine Fisheries Commission stock assessment, the menhaden stock is healthy: It is neither overfished nor experiencing overfishing. The same results have been consistent going back 20 years. April 20, 2016 — BILOXI, Miss. — The Mississippi Commission on Marine Resources denied Jackson County’s request to limit menhaden fishing to at least a mile off the county’s mainland. The vote was unanimous and came after the commission listened to arguments from both sides of the issue. 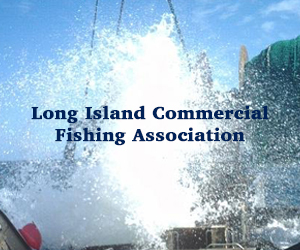 On March 7, the Jackson County Board of Supervisors voted 3-2 to ask the state to limit menhaden boats to 1 mile offshore. The move would have closed 22 square miles of the Sound to commercial fishing by the company Omega Protein of Moss Point. 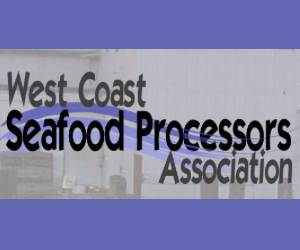 Both the Coastal Conservation Association and Omega Protein went before the CMR. In the final vote, it came down to science and concern for industry. April 19, 2016 — Sustainability has been a constant concern within the omega-3s industry. While questions remain, the general consensus is that the fisheries that supply most of the world’s servings of long chain fatty acids are in good condition and are well managed. April 14, 2016 — A boat parade with commercial fishing boats, powerboats, sailboats, excursion craft, kayaks and rowboats will float up Cockrell’s Creek, to the ceremony site, reported Bob Bolger. All boaters in the area are invited to participate in the parade beginning at 3:30 p.m.
Capt. Linwood Bowis will lead the procession aboard the Chesapeake Breeze, followed by the Reedville Fishermen’s Museum’s Elva C.; a Virginia Resources Commission patrol boat, and Smith Point Sea Rescue 1. Omega Protein will be represented by the Rappahannock, captained by Leo Robbins. The boat parade will begin at the mouth of Cockrell’s Creek and the Great Wicomico River, said Bolger. The Rev. James B. Godwin will be the keynote speaker. The Rev. Godwin has served as the pastor of United Methodist churches in North Carolina and Virginia. He retired from Trinity UMC in Alexandria. April 11, 2016 — For years, when biologist Laurie Sanderson peered into the mouths of filter-feeding fish, what she saw was a puzzle. How did such fish, from the foot-long menhaden to the 42-foot whale shark, manage to filter tiny food particles so naturally, so efficiently from the water flowing into their mouths and out again? The answer wasn’t a simple dead-end sieve, like a coffee filter or colander, which ichthyologists assumed for centuries. In fact, Sanderson says, some textbooks still get that wrong. No, what the professor at the College of William and Mary, her colleagues and students have teased out by studying the filter-feeding paddlefish and basking shark is that they have a complex mouth architecture — with a series of bone ridges or gill arches that have the marvelous ability to form vortices or eddies in the fluid flow. Those vortices serve to separate and collect tiny food bits before the filtered water is expelled.